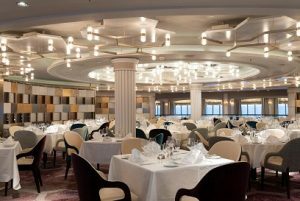 Emerging from an almost four-week dry dock in Bremerhaven, Germany, Crystal Serenity is ready to welcome luxury travellers aboard after its most extensive refurbishment ever. 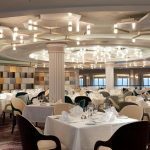 Mirroring the changes implemented aboard Crystal Symphony in November of 2017, Crystal Serenity now boasts new dining options and open-seating dining; new spacious, butler-serviced Seabreeze Penthouse and Seabreeze Penthouse Suite accommodations; redesigned lounge and entertainment venues including the Stardust Club and Palm Court; a new production show called Crystal on Broadway, The Show; and new interactive technological amenities. Crystal Serenity set sail from Lisbon on 10 November, on her first voyage since the completion of her redesign. On Deck 10, 36 new Seabreeze Penthouses and two Seabreeze Penthouse Suites now occupy the space of former Deluxe Staterooms with Verandah. The new accommodations offer the same personal butler service, specialty services, walk-in closets, spa-like bathrooms and spacious square footage as the other Penthouses on board (37.4 sq. m. or 403 sq. ft. and 50 sq. m. or 538 sq. ft, respectively, including the verandah). Customised, contemporary design and décor are featured throughout, with gemstone-coloured velvets, natural materials and brushed brass touches with marble details. The Seabreeze Penthouses also feature unique entries, which are shared between two suites and recessed from the hallway. This enables a seamless design for connecting two suites for larger families upon request. In-room specialty dining and unlimited reservations at specialty restaurants are among the enhanced services enjoyed by Penthouse guests.